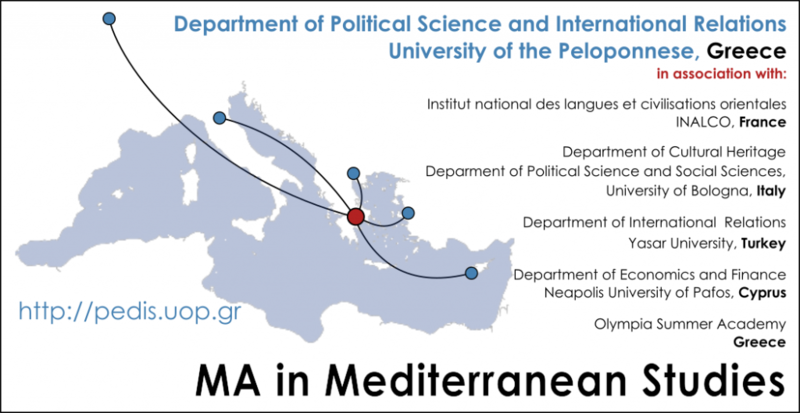 The University of Peloponnese has opened a call for applications for the Master of Arts (M.A.) in Mediterranean Studies for the academic year 2019/20. Deadline for Application: 28 June 2019.